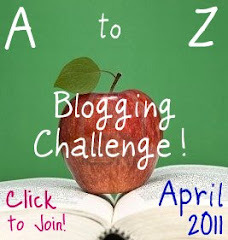 Today is the eleventh day of the A-Z Blogging Challenge. As you probably know by now, I’m doing an A-Z of human emotions, feelings and mental states.Today is the letter K and I must admitt that I struggled with this one. I don’t think there is a genuine emotion tht begins with K as such, unless you count ‘keenness’ but what on earth do you write about that? So I’m writing about kindness, which I take to be not just a personality trait but a mental state in which you are feeling kind. When someone is feeling unwell or down in the dumps, go round to see them and take a treat they love to cheer them up. Bake some cupcakes and give one to everyone that you are grateful for in your life with a little note saying ‘thank you for…’. Next time you walk past a homeless person in the street, buy something from a cafe like a sandwhich, cake or cup of coffee and give it to them. Watch their face light up. When your friend is rushed off their feet and feeling stressed, offer to come round and help with their chores or homework. Many hands make light work after all! If you have some free time and want to learn some new skills, consider volunteering for a charity or doing some fundraising like a sponsored walk. Don’t just walk by if someone drops something or falls over in the street- stop and help them. Wouldn’t you want them to do the same for you? Give up your seat for someone else on the bus. Offer to do your friend a favour like walking the dog, babysitting their kids or helping out in the garden. Be there for people when they need to talk. Listen and offer your advice. Burn someone a CD of their favourite songs. Make someone a greetings card- not for a special occasion- just to randomly say how special they are. Overlook people’s faults and concentrate on the good things that you can compliment them on. Cook you partner dinner before they get home from work to suprise them, and then run them a nice hot bath. If you don’t see some of your friends or distant fmily very often, write to them regularly and they will appreciate it. Donate some of your old clothes and books to charity or hold a swapping party with your mates. Write a poem or nice message and hide it in a library book for a stranger to find. Do you have any other ideas for acts of random kindness? Beautiful! I think you chose one of the most important K words possible. Kindness – oh how the world needs kindness.